When Feminism Went Viral: The US Women’s Movement in the 1990s and Beyond (under contract with Basic Books). HIS 709: Seminar in American History since 1865 - "U.S. History From the 'Bottom Up'"
HIS 724: Selected Topics in 20th Century American History: "Twentieth Century U.S. Women's and Gender History"
"A Social Movement for a Global Age: US Feminists and the Beijing Women's Conference of 1995," Journal of American History 105:2 (September 2018): 336-65. "'Don’t Agonize, Organize!' The Displaced Homemakers Campaign and the Contested Goals of 1970s Feminism," Journal of American History 100:4 (March 2014): 144-68. Co-authored with Cornelia Hughes Dayton, "The Big Tent of U.S. Women’s and Gender History: A State of the Field," Journal of American History, 99:3 (December 2012): 793-817. 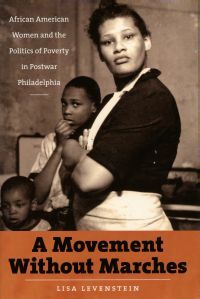 A Movement Without Marches: African American Women and the Politics of Poverty in Postwar Philadelphia (UNC Press, 2009). Co-winner, Kenneth Jackson Book Award, Urban History Association; Honorable Mention, Frederick Jackson Turner Award, Organization of American Historians. "Hard Choices at 1801 Vine: Poor Women's Legal Actions Against Men in Post-World War II Philadelphia," Feminist Studies 28:3 (Spring 2003): 141-163. Received Feminist Studies Award. Robbins Marritt, Angela (BS, UNC Greensboro; MA, UNC Greensboro) "Bridging the Old South and the New: Women in the Economic Transformation of the North Carolina Piedmont, 1865-1920"
Thomas, Susan (BA, Greensboro College; MA, UNC Greensboro) "Chain Gangs, Roads, and Reform in North Carolina, 1900-1935." Received UNCG Outstanding Dissertation Award. Dudley-Shotwell, Hannah G. (BA, College of William and Mary; MA, UNC Greensboro) "Feminist Self-Help in the Women's Health Movement, 1970s-1990s." Received UNCG Outstanding Dissertation Award. 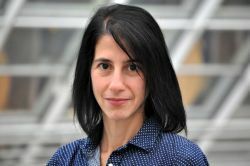 Strohmer, Therese (BS, Southern Oregon University; MA, UNC Greensboro) "Soldiers, Not WACS: How Women's Integration Transformed the Army, 1964-1994"
Levenstein on WUNC Radio: "Looking Beyond Marches: The Feminist Movement in 2017"